The impressive Cape Wickham Lighthouse, at 48 metres, is Australia's tallest lighthouse, and is also the tallest in the Southern Hemisphere. 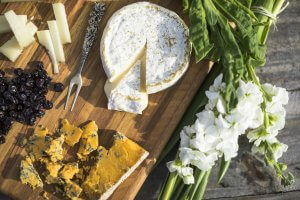 King Island Dairy - Sample award winning and world class speciality cheese and dairy products. 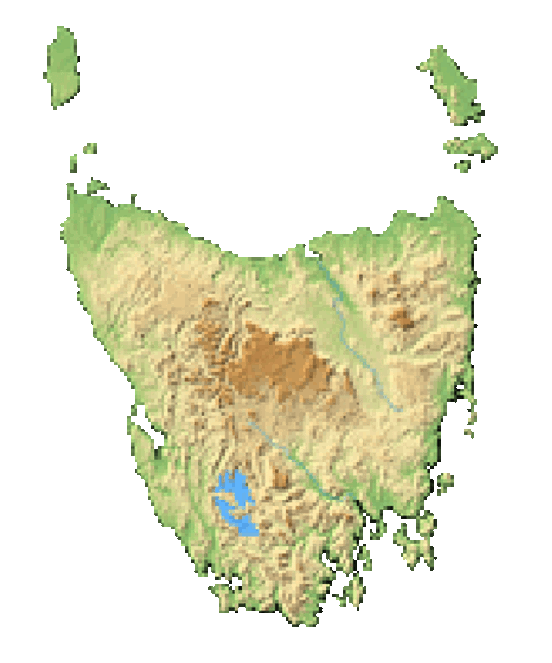 King Island is located in the Bass Strait between Victoria and northwest coast of Tasmania, and is one of the 330 islands that make up the entire state of Tasmania. Is is well-known for world class cheese, fresh seafood, very clean air, and incredible golf! The rugged coastline is interspersed with a few small towns and settlements, with the southernmost point being Stokes Point, and the northernmost point being Cape Wickham. King Island has mild summers and wet winters. Currie is King Island's largest town and administrative center. Located on the west coast, there is a scenic harbor and fascinating history of shipwrecks and discovery that make it an interesting place for any visitor. The remains of shipwrecks can be explored on chartered dives, and The Currie Lighthouse (built in the 1870's) still stands today. Nearby Seal Rocks State Reserve, with its stunning cliffs, is worth a visit for the views and natural surroundings. Grassy is a delightful coastal village on the east coast and is the island's main port. Once a bustling mining town, it is now a small community of locals that have contributed to its new holiday atmosphere. The town is known for its offshore dives, fishing, and the penguin rookery near the port. Also located on the east coast, Naracoopa is a serene settlement known for its picturesque beach, jetty fishing, and local eateries. The island is accessible by plane from Melbourne, Launceston, and Burnie–Wynyard. For a rather quiet island, there is plenty to do and see. Experienced surfers, kiteboarders, and divers will not be disappointed. Martha Lavinia Beach, on King Island’s northeast coast, has been described by Tracks magazine as “The best beach break in Australia”. For beginners, there are also beaches that produce gentle waves and boards are available for hire. 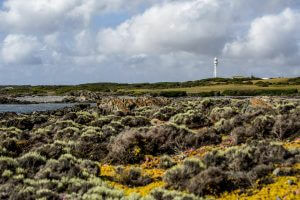 Among the many gorgeous beaches on the island, Disappointment Bay ranks highly among them, and is well worth a visit on the way to the Cape Wickham Lighthouse or Cape Wickham Links Golf Course. Nature lovers can enjoy beautiful walks and the range of flora and fauna. Birdwatchers and wildlife enthusiasts will receive quite a thrill from the great variety of exotic and unique species that can be viewed on the island. Endangered Orange-bellied Parrots can be spotted in the Important Bird Area (IBA) section of the northeast, including Lavinia State Reserve. King Island is also one of the best places in the world to view platypus in the wild, one of Australia's most hard to find creatures. For horse lovers, consider riding a horse on a secluded beach with King Island trail rides. For a sparsely populated island, it is quite a feat to have 3 top-class golf courses. Experienced golfers will fly in from all over the world to play on King Island. Two 18 hole links courses at Cape Wickham & Ocean Dunes are ranked as some of the best in Australia, and even the world, and are designed in the Scottish links tradition. There is also a 9 hole local course found in the heart of Currie. 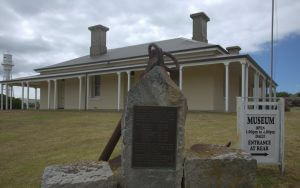 The King Island Historical Museum is a must-see for history buffs. Incredible stories of shipwrecks and the adventures of the early pioneers are featured in this informative museum located in the old Lighthouse Keeper’s Cottage in Currie. You can also book a tour of the Currie Lighthouse. To view local arts and crafts pay a visit to the King Island Arts & Cultural Centre at Currie Harbour. Image thanks to: Tourism Tasmania & O'Neill Coldwater Classic - Surfer, and Tourism Australia & Graham Freeman - King Island Museum. King Island is a foodies paradise, and the island’s fresh produce and seafood are certainly world class. Grassy, Currie, and Naracoopa have many eateries serving up these local specialties. Accommodation includes everything from campsites to cute B&Bs and hotels. Currie, Grassy, and Naracoopa host the majority of accommodation options on the island. Captain Reed was the first European to discover King Island in 1799, while hunting seals in the schooner Martha. After Reed, Captain John Black visited the island and named it King's Island after Governor Philip Gidley King, Colonial Governor of New South Wales. British settlements were established at the River Derwent and Port Dalrymple in Tasmania, and later Port Phillip. French navigator Nicolas Baudin also circumnavigated the island and named some of the localities such as "Phoques Bay" on the northwest coast. Sealers harvested the island intermittently for fur seals and Southern elephant seals until they were hunted to extinction. Subsequently, the island was sparsely inhabited for many years and only visited by hunters and castaways from shipwrecks. Townships and safe havens developed in the 19th century. Built in 1861, the Cape Wickham Lighthouse is Australia's, and the Southern Hemisphere's, tallest lighthouse. In the 1880's the land was opened for grazing. A township developed at Currie and the post office opened on 1 June 1892.